At Scania India, He will be responsible to drive the growth strategy for Scania India, to bring strategic direction to grow the company from strength to strength, with a new vision and mission. 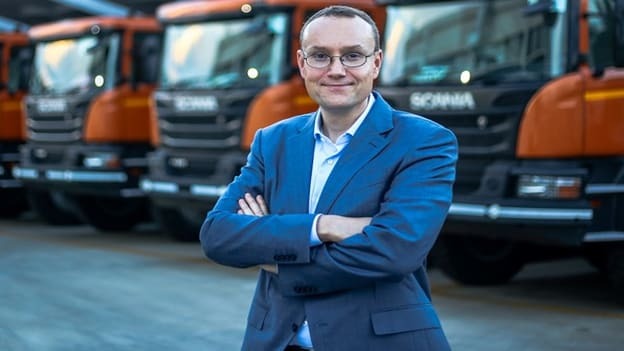 Commercial vehicles maker Scania has announced Petr Novotny as the new Managing Director for its India operations. Petr Novotny born in Czechoslovakia, with the Scania group for over 11 years, working in various international locations, has held key positions in the sales organizations, financial services, including further responsibilities in information systems, human resources, network development and purchasing verticals across various markets. At Scania India, Petr will be responsible to drive the growth strategy for Scania India, to bring strategic direction to grow the company from strength to strength, with a new vision and mission. Petr is a Fellow Chartered Certified Accountant from ACCA and is also a Certified Internal Auditor from the Institute of Internal Auditors, Florida, USA. Apart from this Petr has completed his MSc and BSc in Economics from the University of Economics, Prague; a Business Administration degree from Aberystwyth University, Wales; and Executive Training Program from Stockholm School of Economics. Prior to working with Scania, Petr has worked with Philip Morris International, Coca-Cola and Deloitte in various leadership capacities bringing about a decade’s experience to lead the Scania Group in India.